Escape Rooms (a.k.a. Puzzle Rooms, Adventure Rooms, Mystery Rooms, Exit Games) have surged in popularity recently. A few months again there was some discussion on a couple of the camp professional Facebook groups about running an Escape Room at camp. Is it possible to create an Escape Room at camp without spending thousands of dollars on the kind of set-up and electronics that commercial Escape Room companies spend on each of their games? Wait. I’m getting a head of myself. You may not even know what an Escape Room is exactly. Let’s start there. Here is an abridged description of Escape Rooms from Peeking behind the locked door: A survey of escape room facilities by Scott Nicholson. “Escape rooms are live-action team-based games where players discover clues, solve puzzles, and accomplish tasks in one or more rooms in order to accomplish a specific goal (usually escaping from the room) in a limited amount of time. The escape room experience starts with the players meeting their gamemaster, who briefs them on what will be happening over the next hour and gives them the rules for the game. If there is a back story, the players may watch a video or be given a passage to read. The door is closed and locked and a countdown clock begins. Players explore the room, tentatively at first but then more aggressively as time goes on, looking everywhere for clues. There are usually numbers, symbols, or pictures on the walls but no apparent guide to understanding what they are there for. It’s all a mystery. The first part of the experience is searching through drawers, boxes, pockets of clothing, and underneath and behind everything; well-communicating teams call out what they find and organize things that might go together. At some point, players will discover a puzzle and figure out how it can be solved; some puzzles have directions and others do not. There are around 3000 escape rooms operating all over the world. Some are very elaborate while others are not. Proprietors spend thousands of dollars on decor and puzzles for each game. This begs the question, “Can a camp create an escape room experience without spending thousands of dollars?” The answer is yes, a camp can create one for under a few hundred dollars. Before I show you how, I want to talk about your audience. There is one Escape Room experience for kids that I know of (at the time of this writing). It’s at the Escape Lounge in Washington D.C. There may be a couple of others, but I haven’t been able to find them. Many Escape Room operators will allow kids to go in with adult supervision, but the experiences are designed mainly for adults. Then there is Breakout EDU, a company that creates a similar experience for teachers to use in their classrooms. Instead of escaping the room, however, the goal is to unlock the main box. Breakout EDU sells their wood lockbox filled with enough props and supplies to run one of their games. On their site you’ll also find videos and instructions on how to run a variety of classroom puzzle hunt games that teachers have designed themselves. If you’re a teacher that is looking to add math or history or even science to a puzzle game, then I strongly encourage you to check out Breakout EDU. Camps with S.T.E.M. programs can also benefit greatly from their site. 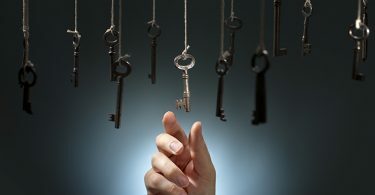 Even if you don’t want to include education in your Escape Room experience, the videos can show you some neat ways to create some inexpensive puzzles. You can find plenty of videos on YouTube by searching for “breakout edu”. 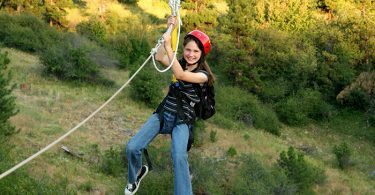 So, while you can create an Escape Room experience for elementary school aged kids, I think it is much more suited for your middle school and high school aged campers and CITs. 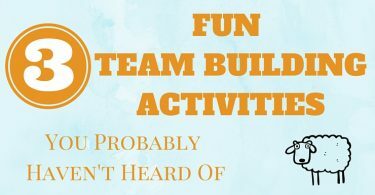 It can be a great team building experience, especially if you debrief afterwards. Let’s begin with a theme and/or storyline. Whether it’s an Egyptian theme, a “diffuse the bomb” scenario, a zombie theme or a detective theme, having a theme and a storyline will not only make the experience more memorable, but they will also make it more enjoyable to create. Of course, decorating a room as though it’s an Egyptian tomb will require a complete redecorating of a room and the purchase of a lot of decorations, unless you already have some. If you have an extra room to run your game and the budget to decorate it then go for it. If not, consider using a space you already have and designing the game around it. Here are a couple of examples. Storyline: The Sheriff has locked your group up thinking you are the notorious Mustang Gang. There isn’t enough room in the jail cell so he had to use the barn. The hangman will be in town in 45 minutes. You have until then to escape the barn. Luckily, Suzy May and her father have provided you a way to break out. They hid clues around the barn so that the Sheriff and his deputies wouldn’t easily discover their plan. Solve the clues and you’ll earn your freedom. Then you can figure out who set you up. Of course, that’s a game for another time. Note: Not all “Escape Room” games are the same. For many of them the purpose is not to escape the room, but to solve a mystery. That is why Adventure Rooms, Mystery Rooms or Puzzle Rooms are alternate names for these types of games. When a group enters a room they should start looking around for clues. Clues could be lying out in the open or hidden just about anywhere in the room. The first clue will probably lead to a puzzle which will need to be solved to find the next clue and so on. Clues and puzzles can be in a variety of forms. Keep in mind that we are trying to keep the cost low for your camp, so the clues and puzzles I mention are not electronic or expensive to add to your game. Using a variety of puzzles and clue delivery systems is important in a game. They should also fit the scenario. You wouldn’t have a video recording if the game is set in the Wild West. Again, I have not included electronic props like Arduino products and software. I also have not included any magnetic props. However, in a typical Escape Room game you will need supplies. Here is a list of equipment that you might use for a game. 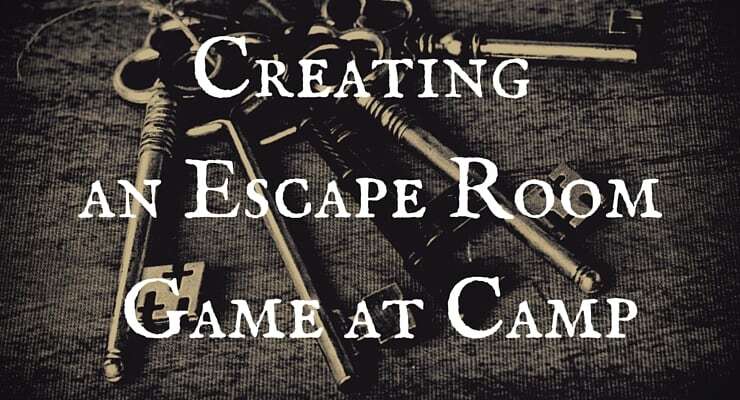 Here is a very basic list of how to create an Escape Room style game for camp. Have the gamemaster go over the rules with the group (be careful with the props, no running, do not touch anything that says Do Not Touch, you only have 45 minutes, etc). Then have the gamemaster introduce the storyline. Lay the first clue out in the open. This clue should lead the group to several different puzzles. Most camper groups will have around 10 kids. It’s best if they split up into smaller groups. Otherwise, some of them will get bored as the group tackles one puzzle at a time. If they don’t split up naturally, the gamemaster or supervising counselor should suggest it. Have each puzzle be the beginning of a path. In other words, one puzzle will lead to the next which will lead to the next. If there are three paths you’ll have 3 groups of 3-4 campers working on each puzzle. From there, split them up again with three new paths. Each path will have three more puzzles and lead everyone to the end, be that a treasure, solution to a mystery, key to unlock the main door, etc. Take the group somewhere else and debrief the activity. Having a trained ropes facilitator as the gamemaster would be a good call. The group counselor is there to supervise only, not to help the group other than encouraging them to continue. You may want to provide Hint Cards. If the group gets stuck they can use a hunt card and ask the gamemaster for assistance on whatever puzzle they are on. Let me be clear, the gamemaster is not to tell them the answer to the puzzle, just to give them a hint to help the campers solve it on their own. I’d suggest giving the group 3 hint cards. Once they have used all three that’s it. Groups need to be careful when asking for help. They don’t want to waste all their hint cards if they really don’t need it. Commercial Escape Rooms have varying degrees of success rates. Some rooms are very difficult and the success rate of groups attempting to “escape” or solve the mystery is low, as low as 10%. Other rooms have a better success rate, as high as 80%, but that’s rare. No commercial Escape Room has a 100% success rate. If that were the case, then that room would be much too easy. Your room should be difficult enough that not every group will solve everything in the given time limit, but easy enough that they will be making continuous progress. If you need to make your game harder, adjust the difficulty of your puzzles or add more of them. If you want to make it a bit easier, eliminate a few puzzles or make some of them easier to solve. I understand that at camp we feel that everyone should succeed, but there are a lot of lessons that can be learned from failing or running out of time before you hit your goal. However, if you are determined to see everyone be successful I suggest you create a game that would take the normal group 30 minutes and put a 45 minute time limit on it. Then, to make things a bit more interesting, you can have a leaderboard up for the summer that shows every group’s time. Either way, I also suggest that you take a picture of each group after they finish. The campers can hold signs up for the photo that say things like “We did it!”, “Mission Accomplished!” and “WooHoo!” or “Almost”, “We’ll get ’em next time!” and “So close”. After you have created your game you’ll need to get some staff together to play test it. This will show you if you need to add time, make a puzzle more or less difficult or are missing a key element in your game. 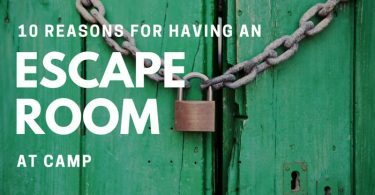 There are so many things to consider when creating an Escape Room experience. I know that this post is only giving you a taste of what is involved, but to spell out everything in detail would take a book. It just so happens that I wrote an ebook that walks you through step-by-step on how to create a low cost game. It’s called How to Create a Low Cost Escape Room for Camps, Youth Groups and Community Centers. Click on the link to be taken to my online store. 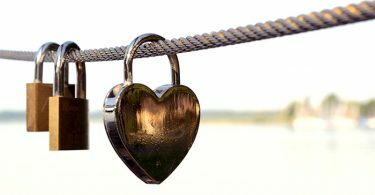 LOVE your idea. Seriously, I’ve never thought this before , and I want to do it next time! Great idea! I really need to try this one! Great article! When designing an escape room, it is vital to provide a unique experience to customers. Music is an often overlooked aspect; if done right it can create an apt environment for players. Good point, Jessica. I agree. Like you say, the key is to do it right. While I don’t usually use music, I do when I think it will add to the atmosphere, like for my Harry Potter room. Thanks for the comment. I cannot open the link to the e-book… Help!